Last Wednesday, November 28, Senior Christian Perun reached the pinnacle of his scouting achievements with an Eagle Scout Award. Only four percent of Boy Scouts are granted this rank after a lengthy review process. The requirements necessary to achieve this rank take years to fulfill. Since its founding, 2.5 million young men have earned the Eagle Scout ranking. Christian started this journey in 2014 with the Scout rank, and in four years, he advanced the ranks and earned 25 merit badges. Christian is also a PADI Rescue Diver and is well on his way to earning his Private Pilot License. He completed his Eagle Board Review in April 2018. The Eagle Scout Service Project is the main component in his review. As a former Patrol leader, Historian, and Quartermaster, Christian’s Eagle Project was to help rejuvenate the DeGroff Park in Lighthouse Point. This park was ravaged after Hurricane Irma. 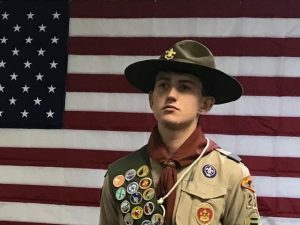 He raised funds, purchased materials, and supervised his troop in assembling an environmentally friendly picnic table made out of recycled materials. He also guided his troop in some much‐needed landscaping. This project will benefit the community for years to come. 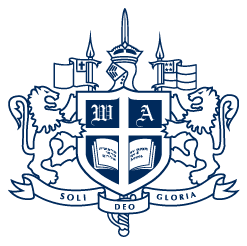 Because Christian has attended Westminster Academy since preschool, he will graduate next May with another ranking, “Lifer.” Congratulations, Christian!